Used in lifting, the s-hook can be looped into rope or chain. The s-shape makes attaching and removal of the hook easy. The shape also adds to its strength to distribute weight evenly on both hooks. 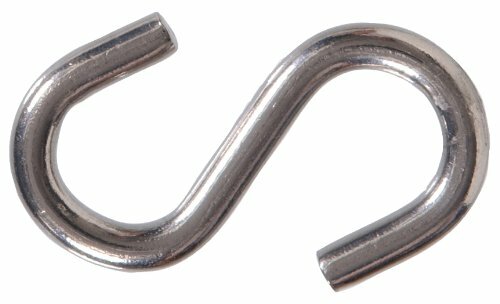 S Hooks feature wood-screw threads that make them easy to fix directly into wood or timber to create convenient hanging points. Can be open or closed with pliers to insert or remove connection.